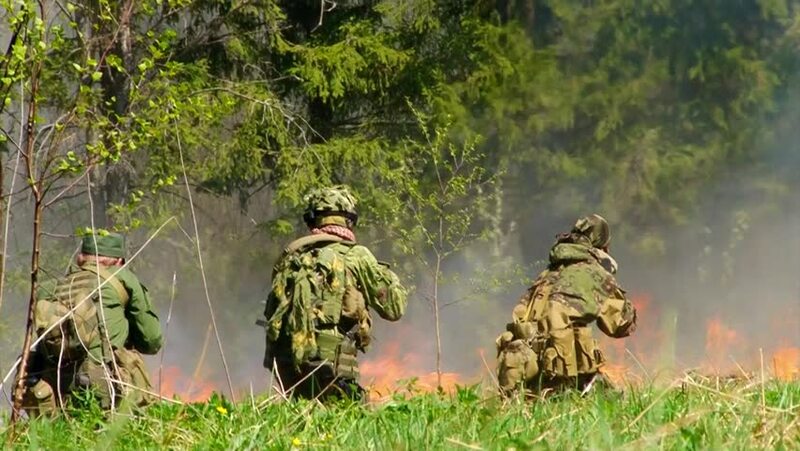 People in uniform on background of military fire in forest. Impact strength and power of airsoft guns. hd00:31CIRCA 2010s - Soldiers on patrol in Afghanistan take a break. 4k00:10Soldiers aiming their assault rifles in jungle. Chinese soldiers in jungle kneeing down in open grass land and aiming their weapon, and getting up, special forces training. Ready to assault terrorist. hd00:13A hunter and a dog in a nice green lawn near wood which is pointed on a very natural countryside.